The film portrays the emotions of a recently widowed woman who’s having a feeling of deliverance after the death of her poet husband. 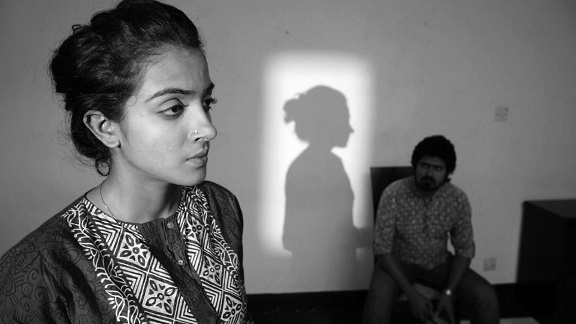 This film is about a psychological journey of a woman named Rubi; once she loved her husband devotedly but the feeling is long gone. Sitting beside her husband’s dead body, she doesn’t feel any grief or any other emotion whatsoever. She remembers her life with this man, and discovers that her once beloved husband died to her long before his actual demise. 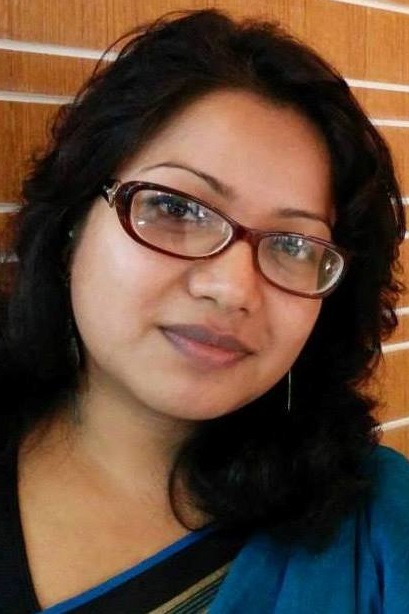 Tasmiah Afrin Mou is a young filmmaker from Bangladesh. Statement after My Poet Husband’s Death is her debut short film. Before this, she made a handful of Documentary films for television. One of her Documentary films Tokai-2012 received the Award for Best Short Documentary at Guangzhou International Documentary Film Festival, China in 2014. She is also known as a writer. Her short story book Baksha Bondi was published in 2015. Though love relation is beleived to bring happiness in a woman’s life, often it causes pain and abasement. Still, a simple woman goes far and accepts a lot of disgrace for his love. But, after a certain period, the feeling of love dies from continuous abjection. The breathing person she loved becomes dead to her. Even the actual death of that person comes as relief. Despite being brought up in a country that is historically male dominating, an ordinary Bangladeshi woman often tend to take some difficult but vital decisions which come from the lesson of self esteem her culture taughts her. The family structure in bangladesh facilitates a mental shelter for the ordinary woman taking any important life decision long after she is matured or married. An ordinary woman could become the symbol of self esteem, not through practising any recognized feminist lifestyle, rather living her ordinary stolid life.